Mad Max: Fury Road was the fourth installment in the Mad Max franchise, but coming, as it did, more than 30 years after the last one, fans would be forgiven if they thought the franchise was dead and buried. 30 years is a long time to wait for a new installment, but director George Miller had actually been trying to get Fury Road made for 15 years. He even had Mel Gibson back on board to play the title role but disaster literally struck, preventing the film from going forward. And then 9/11 happened. The American dollar collapsed against the Australian dollar, so we lost close to 25 percent of our budget within days, and we just couldn’t recover that. We just couldn’t cut the film down. Economics is a hell of a thing. The drop in value of the dollar meant that suddenly the money they had to produce Mad Max: Fury Road just wasn’t as much as it had been before, and it just wasn’t enough. George Miller decided to go on and produce the animated feature Happy Feet instead. 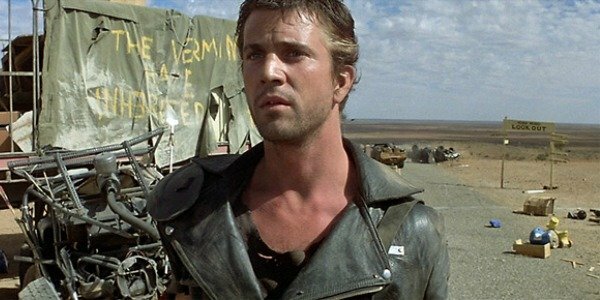 Miller then tried to go back in 2006 and work with Mel Gibson on Mad Max again, but 2006 was when Gibson hit some personal hurdles in the media, and the man just wasn’t in a position to go make a big-budget action movie. The actor was pulled over after drinking a lot, and went on a tirade that hit the bad publicity trifecta of racist, homophobic, and sexist. It just wasn't good. Even if George Miller had his heart set on getting Gibson back, it was unlikely any studio would have given a dollar to finance a movie starring Mel Gibson at that stage of the actor's career. The third time trying to mount Mad Max: Fury Road was the charm, but by then, George Miller had decided to recast the role of Max and Tom Hardy was brought in. The long wait was apparently worth it. Mad Max: Fury Road has been nominated for 10 Academy Awards including the first Best Director nod for George Miller. It’s already the most successful film in the franchise from a critical standpoint, even before the ceremony happens. As much as we loved Mad Max: Fury Road as it was, we’ll now always be wondering about the version we almost saw. How would a Mel Gibson led version have been 15 years ago? Would you have rather seen that version that the one we got? Let us know your thoughts in the comments below.